The Taglit-Birthright Israel trip covers roundtrip airfare plus 10 days of accommodations and unique programs in Israel. Any Jewish young adult aged 18-26 is eligible to apply for the gift unless they have been to Israel on a peer-group program after the age of 18. The JAM (Jewish Awareness Movement) Israel trip combines touring the land with classes on Jewish identity and thought. Students live in Jerusalem and every afternoon a tour bus brings the students to sites in and around Jerusalem. The itinerary has included an archeological dig, camel riding, kayaking on the Kineret, rappelling in the Qumran, a visit to the Dead Sea, climbing Masada at sunrise, an overnight trip to the north, the Tunnel Tours under the Western Wall, Tel Aviv and much much more. In addition, classes in the morning puts the sites into context, and explains the impact and meaning of Judaism. Students learn to clarify their Jewish pride and articulate why Judaism is important to them. The experience is deep, fun and meaningful, truly a trip of a lifetime! Israel Recharge is an incredible opportunity for Jewish students and young professionals from all backgrounds and affiliations who would like to experience Israel, explore their Jewish roots, and inspire their soul. Recharge is perfect if you've been on a trip to Israel with Birthright before. Channel 3000 years of wisdom in a meaningful, user-friendly way, while touring the real Israel like you’ve never seen before and having a great time! Hamerkaz helps young, college-age adults decode the mysteries of Jewish tradition and rediscover the rich diversity of their heritage, showing its relevance to Jews today. You already know that Israel is an incredible place. But was your last group trip to Israel just too short? Do you want to come back to Israel again, to have another chance to experience this amazing country, to enjoy the superb beaches and reefs of Eilat, to visit the famous city of Hebron and to learn more about the heritage that makes this place truly your own? Then Israel 2.0 is for you. Extensive guided tours of the country will be accompanied by stimulating lectures and discussions with academic and rabbinic experts. JEWEL is one of the most innovative introductory study programs today. Set in Jerusalem's lovely Ramat Eshkol neighborhood, Jewel lets you explore your Jewish Heritage in a warm and easygoing environment, with top lecturers from around the world. Jewel is a holistic program that encompasses classes, tours, day trips, group activities, a Shabbat experience in the Old City of Jerusalem.... making the Jewel experience a perfect gem. Price: $699 (including airfare) or $500 with M2 voucher. Additional scholarships may be available. The Essentials program is for men ages 18-29, and offers a unique opportunity to gain a strong understanding of core concepts in Jewish thought, while living in the heart of Jerusalem’s Old City. The program also tours regularly around Jerusalem and throughout Israel. While in Israel, you can drop by any time for a free class. Join JET YP as we JOURNEY to the Holy Land this summer. This trip will be an amazing mixture of spiritual inspiration with unadulterated FUN! Learn Jewish wisdom from the greatest teachers in the Jewish world in the morning and then Segway, Zip-Line, & ATV in the afternoon! Enjoy the sights and sounds of Israel by night as well. We will spend an incredible Shabbos experience in Jerusalem. Livnot’s Galilee Trek and Connect is an internship and community service program in the heart of the Galilee. Participants can choose from several internships or community service. The Onward Israel: Galilee Trek and Connect is challenging and exciting. Full of hikes through waterfalls and canyons and filled with Jewish learning in nature and in the community of Tzfat, the Ultimate Internship is a resume building experience, good for your body and soul. Hasbara Fellowships, educates and trains university students to be effective pro-Israel activists on their campuses. Based in the Old City of Jerusalem, Hasbara Fellows spend time traveling the city as well as other important sites in the country including strategic military sites, borders with neighboring countries, etc. The program is for university undergraduates who have at least two semesters left on campus. Based in Jerusalem, MEOR Vision is two-weeks of high level Torah study, Jewish education, and Jewish leadership training. MEOR Vision is interactive and personal. Together with outstanding Jewish educators and a dynamic peer group, you will delve into Talmudic discourse, acquire new skills in concentrated study of Jewish texts, learn leadership theory and technique, and focus on personal character development. The program includes a customized individual learning component, where you will learn and develop a topic of your choice. Inspiring shabbatonim, exciting evening activities and on-site classes all add to the unparalleled experience. NEIJS, in coordination with Shaare Zedek Medical Center, Jerusalem, is sponsoring a four week summer program, combining the study of medical ethics, Jewish thought and tours of Israel. The program enables Jewish medical students to explore Jewish approaches to challenging medical issues confronting health care professionals. 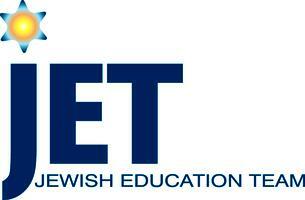 Compelling seminars on Jewish thought address contemporary issues facing the Jewish people. The faculty includes world renowned medical ethicists and scholars of contemporary Jewish law and philosophy. The medical ethics curriculum incorporates the case-study method and hospital rounds and has qualified for elective credit. Students from over fifty medical schools have participated over the past ten years. Touring Israel ,praying in the Holy sites of our Tsadikim adventurous activities are but a few things on the agenda. If you are proud of being Sephardic, then you will love Hadar. This year, we're bringing you the most exciting, mind-blowing trip you will ever have in Israel. Spirituality, education and fun all rolled into one. Hadar is taking you on an electrifying 11 day tour through the best sites of Israel while touring, you will also learning about Sephardic heritage & the wisdom and beauty of Judaism, from dynamic speakers and educators. You will visit Jerusalem, Eilat, Hevron, cave of the patriarchs, Tel Aviv, northern Israel and more! Price: Cost varies from $99-$699. If you will be on another trip to Israel this summer such as birthright or anything else you can join us after your trip. Subsidies and scholarships are available. This is your opportunity to experience and adventure and to see the deeper side of Israel. Join MJE as we tour the country, learn the history of our people, and connect to the spiritual foundations our the land. The trip is a combination of fun, touring, learning and enjoying all Israel has to offer with a dynamic tour guide and the MJE staff. Price: $3000 - Stipends up to half the cost available for those who qualify. Pathways Plus is a 3-week beginner level program, specially crafted for the student who would like to get a taste of Torah learning, as well as experiencing life in yeshiva. Pathways Plus will provide hands-on text study, informative and thought-provoking classes with expert educators, inspiring tours, and Shabbatonim. Each student will be given plenty of personal attention, with special efforts made to tailor each student’s daily schedule to his specific needs. On Way More Israel you'll have an incredible time living in Jerusalem's historic Old City while learning Hebrew, volunteering and building your career. You'll have an authentic Israel experience as you live like a local. Choose either the 8-week program in the summer or winter or the 5-month program. (On the 5-month program you'll also experience organic farming). With trips throughout Israel, classes/workshops on timely Jewish topics and amazing internship/volunteering positions, you'll get way more than you ever imagined! Total cost $4300 (post MASA grant). Additional $1000 subsidy available. Not including airfare. The Jewish Women's Renaissance Project offers men and women all over the world a special gift; a highly subsidized, 9 day action-packed trip to Israel and experience what it means to Transform and Grow. The excitement of touring, learning, and sharing on this trip with other parents from all walks of life, is unforgettable. Many trips planned from cities throughout North America. Check website for details. Price: Trips are highly subsidized. Check website for additional details. Mechina introductory program, is designed for the curious and inquisitive young Jewish woman, with little or no background in Judaic studies. Mechina strengthens Jewish identity through Jewish education, and demonstrates the relevance of Judaism in today’s world. Students tackle life’s toughest personal, philosophical and theological issues in a sensitive and thoughtful environment. A spirit of open exchange permeates the classroom where the students are encouraged to question and interact with some of the most stimulating teachers in today's Jewish world. Program is offered on a continuous, year-round basis. You can choose which dates work best for you. Generally, the full program lasts for 6 weeks. However, you can join at any time and choose to stay anywhere between two weeks to the full session. She'arim College of Jewish Studies for Women offers an exceptional approach to education that combines personalized teaching, textual study skills and an integrative approach to personal growth. She'arim relates to each student as a unique person, individualizing schedules and classes as necessary. Various tracks and dates available. Please check site for details. Price: Tuition for short term programs is $250 per week and the dorm is $100 per week. She’arim’s policy is not to turn anyone away for financial reasons. Special scholarshipsare available.